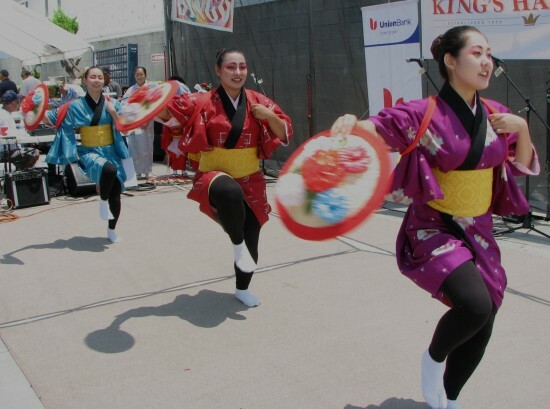 The Gardena Valley Japanese Cultural Institute held its annual carnival on June 29 and 30, with many of those taking classes at the JCI showing off their talents. Above: Students of Bando Hidesomi’s Nihon buyo (Japanese classical dance) class. 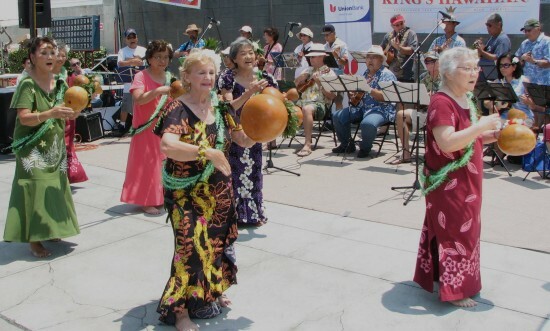 The JCI senior ukulele and hula classes, taught by Chika and Harriet Nagata. 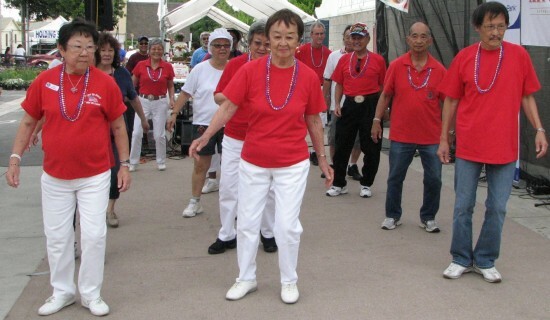 The JCI line dance class, taught by Terri Slemmons and Jean Inouye. 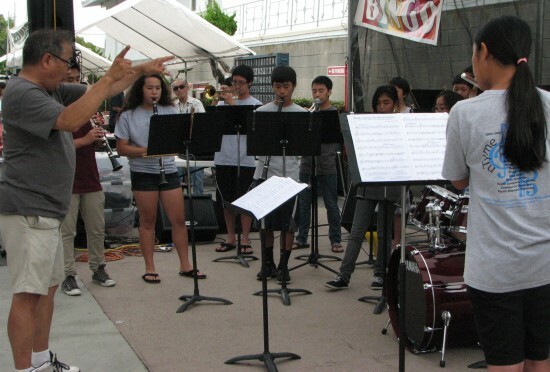 The North Torrance Youth Musicians Ensemble (nTyme), founded and directed by Glen Kamida. Other performing groups included JCI Taiko (Tom Kurai), Shorinji Kempo South Bay, Halau Ke ‘Ala O Na Lei Milo, Wreckin’Crew and Best Kidz (JCI break dance class), Na Pua O Lanaki, Southern California Kyudo Renmei, Gardena JCI Kendo, Senior Ukulele Group (Ken Kanomata), Kanani Kalama Hula Studio, and Aloha Picking Class (Mel Ogata). 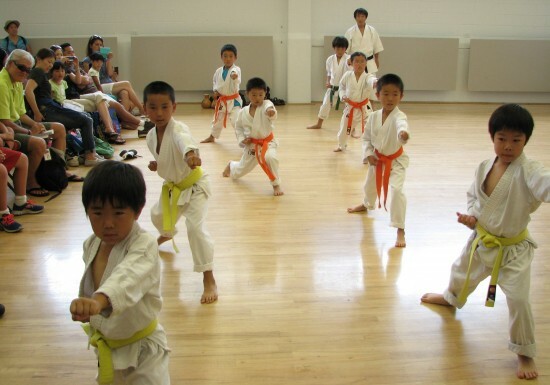 Kids demonstrate their Shotokan karate skills. 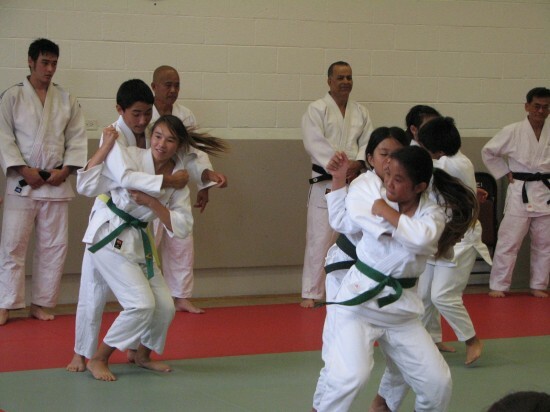 Members of Gardena Judo Club demonstrate throws. 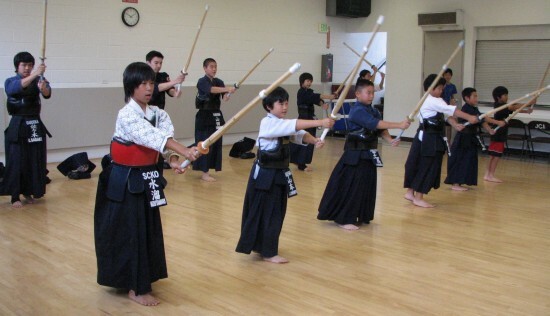 A demonstration by Gardena Kendo Dojo. 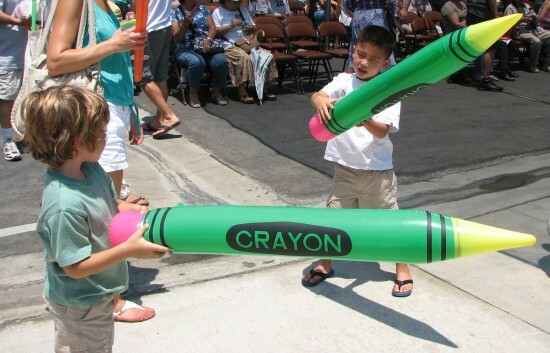 Prizes at the game booths included giant crayons. 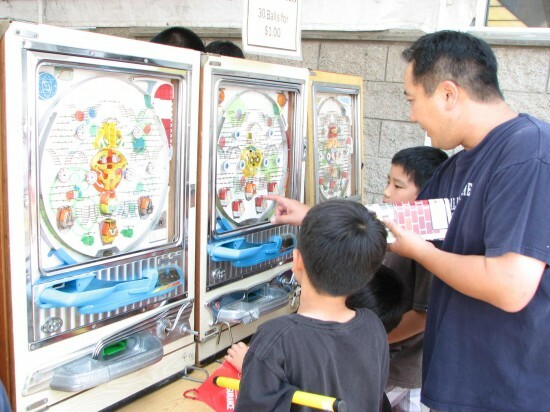 Attendees tried their hand at pachinko, a popular game in Japan. 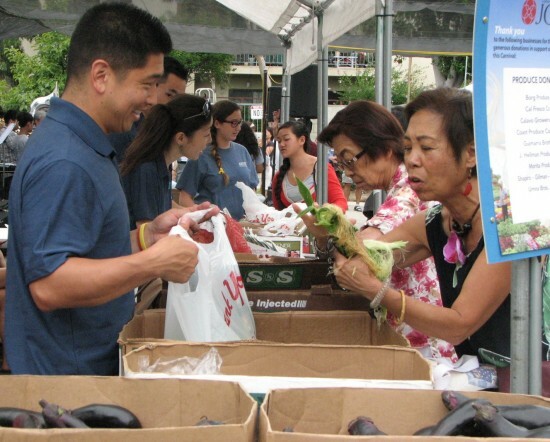 The carnival featured produce and plant sales. 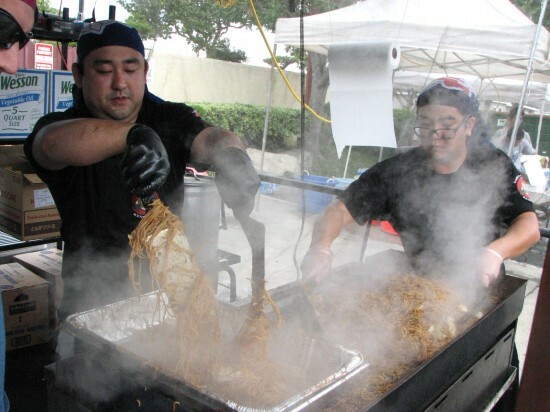 On the menu were yakisoba (pictured), Imagawayaki, taiyaki, Okinawan andagi, hot dogs, tamales, beef and chicken teriyaki, lau lau, shaved ice, cold somen, chirashi/inari sushi, Spam musubi, corn on the cob, chashu bao, and udon. 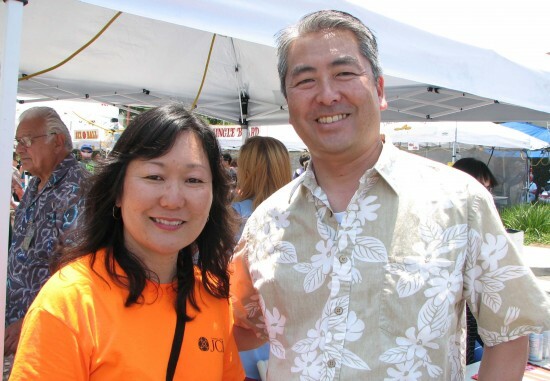 Assemblymember Al Muratsuchi, pictured with JCI Executive Director Allison Kochiyama, was on hand to meet and greet his constituents. Gardena Mayor Paul Tanaka also attended.